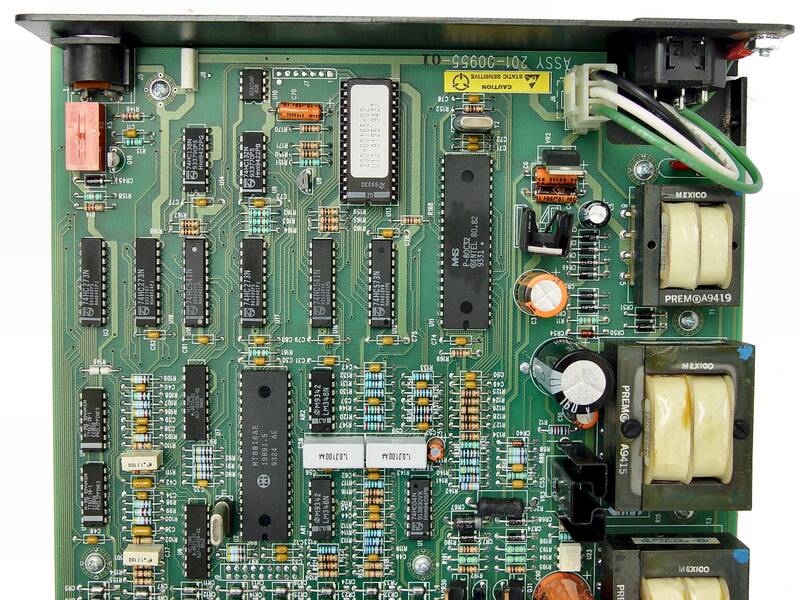 What is a telephone line simulator? You could think of it as a very small telephone central office; a small phone company in a box! 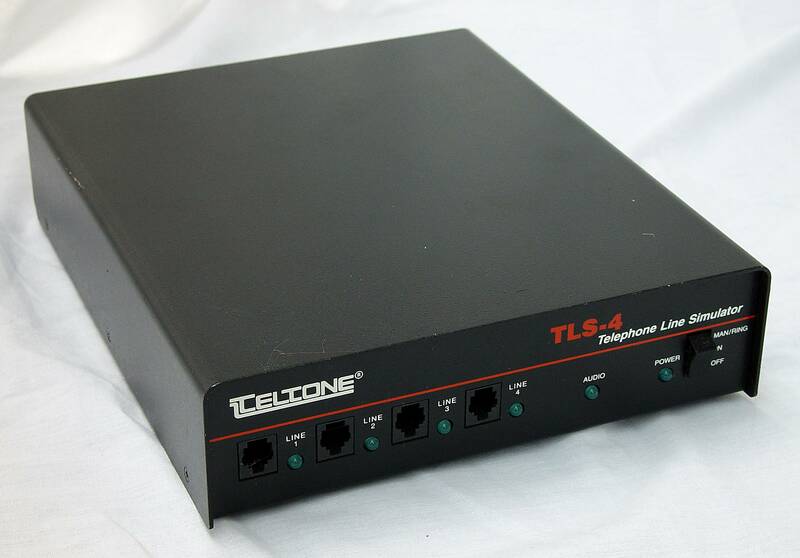 The one shown above is an example of such a device (Teltone model TLS-4) and is the one I recently purchased used (can't afford a new one!). The TLS-4 has a replacement model now (called the TLS-4A) but they are essentially the same for my purposes. 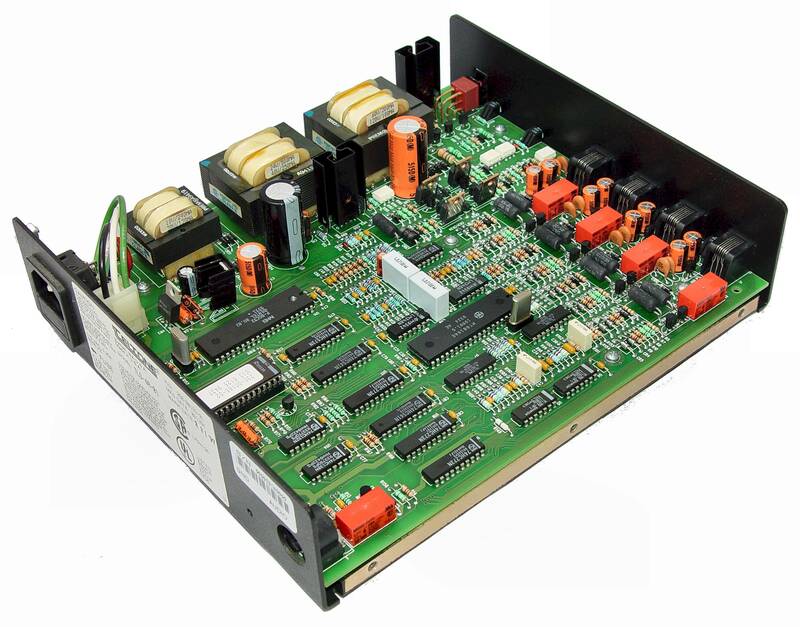 The basic concept of a telephone line simulator is to allow phones, modems, fax machines, etc. 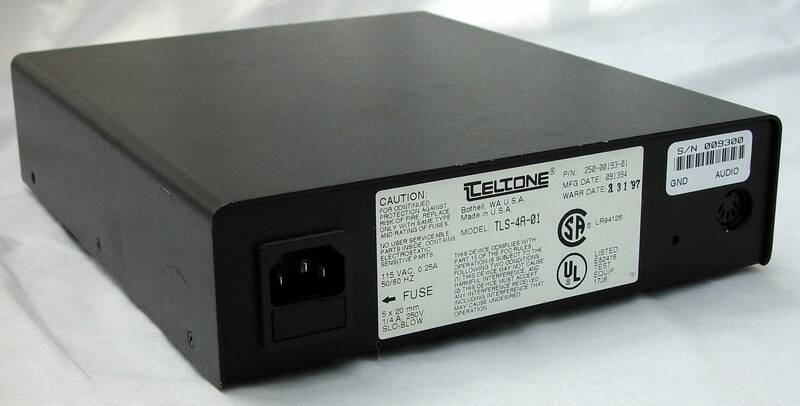 to connect to a simulated telephone line which allows the connected devices to "think" they are plugged into a real telephone jack that goes to the phone company's central office. Several companies make these devices and they come in a wide price range to compliment the wide range of possible features and levels of quality. The low-cost units are usually limited to one talk path (only two telephones can be plugged into it and thus only one conversation can occur at any one time). They may or may not provide a "dial tone" and may not have the ability to "decode" the touch-tone dialing or rotary dial pulses to call the other phone. As a result, many of these low-cost units are wired so that when one of the two phones are lifted up off of the switch-hook or handset cradle the other phone immediately rings with no dialing involved. This "hot-ring" communications link between two or more points is perfect for applications such as a customer assistance hot-line in a department store. A customer simply picks up a phone connected to one of these low-cost simulators and the simulator rings another phone situated in the customer service department without dialing any phone number. The low-cost simulators usually only work with the cheap modern phones with electronic ringers and can not ring the older phones with those nice electromechanical brass-bell ringers. That's due to the fact that the cheap simulators send 50 or 60 Hz ringer voltage to the other phone (the power line frequency) but the electromechanical bells need 20 to 35 Hz to work. 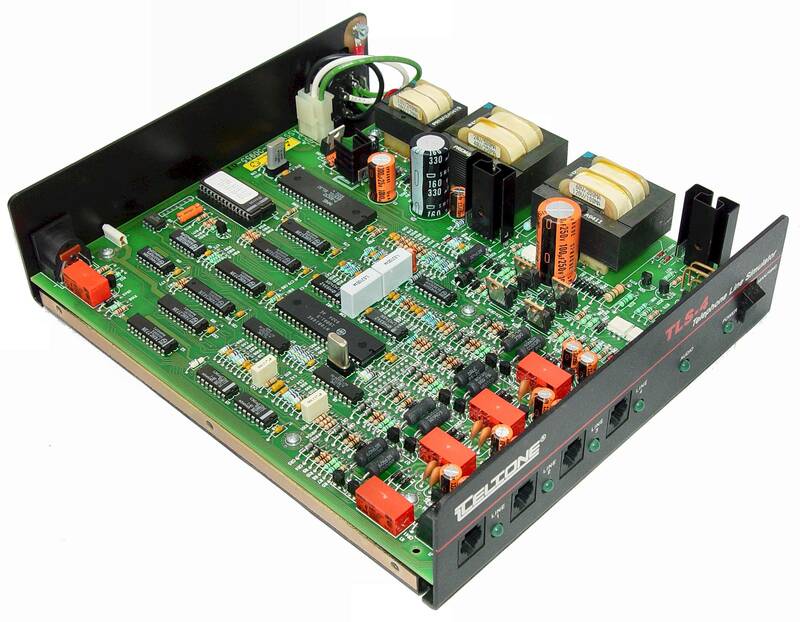 Other disadvantages to low-cost simulators are the lack of true or precise dial tones, busy tones, re-order tones, etc. and cheap parts that may not last. The better ones have real (precision) signals for dial tone, busy signal, ring-back tone, re-order tone, ringer current, etc. They also work with touch-tone dialing or rotary dialing and each phone port can be programmed with any phone number of one to 16 digits. Many (such as mine) have an audio port for monitory calls or playing prerecorded messages plus the ability for conference calling, call transfer, etc. You can not tell the difference between a phone plugged into my TLS-4 and a phone plugged into a real phone line - except for the fact I can't make calls to phones not hooked to my simulator. If I could I'd have what could be called a PBX (private branch exchange). Those are REAL expensive! I paid a lot less for my used top-of-the-line simulator than what the low-cost ones cost new, so if you are in the market for one you might want to consider buying a used unit. And no, mine is not for sale! I took a photo of one of my daughters using my simulator to demonstrate her new Winnie the Pooh telephone she got for Christmas. 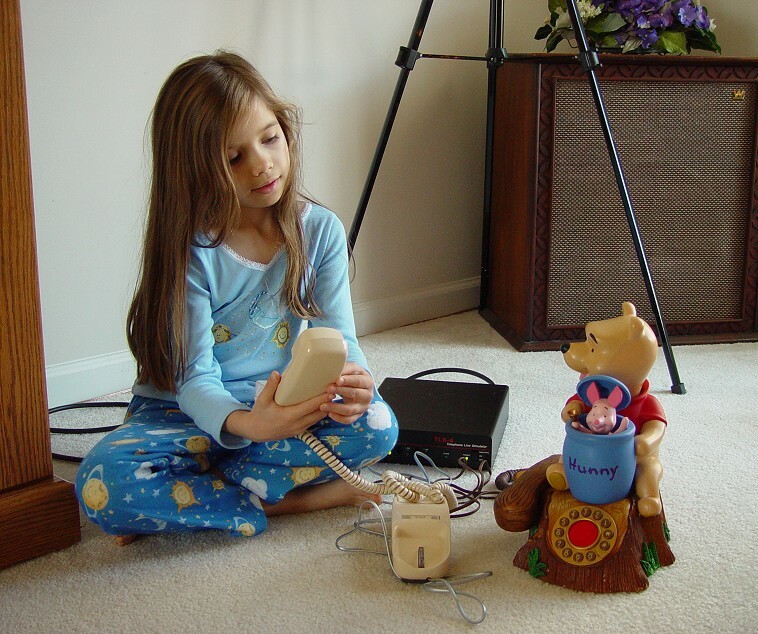 Using a Western Electric Trimline phone plugged into one port on the Teltone TLS-4 and the Pooh phone plugged into another port she was able to call the Pooh phone from the Trimline phone and start the animation of Piglet coming out of the honey pot and Pooh's head to rotate while the character's voices are heard. NOTE: These sources are only provided here as a convenience and are not in anyway endorsed by or connected with the webmaster of this web site. Keep in mind that features, options, flexibility, quality, etc. can and will vary a lot between brands and models of each brand. Just because a line simulator has six RJ-11 jacks to plug in up to six telephones (or other devices like modems) DOES NOT mean that up to three separate conversations are possible (three "talk paths") at any given time. In one model I came across it only allowed ONE talk path at a time even though there were six phone jacks! In other words, any one telephone could call any of the remaining five phones on the six port simulator but once any two phones are in use, the others are useless until the other two phones hang up! Be sure you understand what your needs are before buying a simulator or you may wind up spending too much for more than you need or you may also wind up with one that is not capable of what you had expected due to misleading advertising or misleading specifications. It would be easy to think that if you had six phones plugged into a simulator that you should be able to have three distinct (independent) pairs of phones connected together by the simulator for carrying on three distinct conversations or data streams (modems instead of phones). But upon reading the fine print, this is far from true. Some non-technical uses for a telephone line simulator would be for a home intercom system using real phones, using it in theatrical plays or TV shows for ringing a stage-prop telephone, using it for keeping in touch with the kids in their playhouse outside, or making a telephone collector's display come alive, etc. 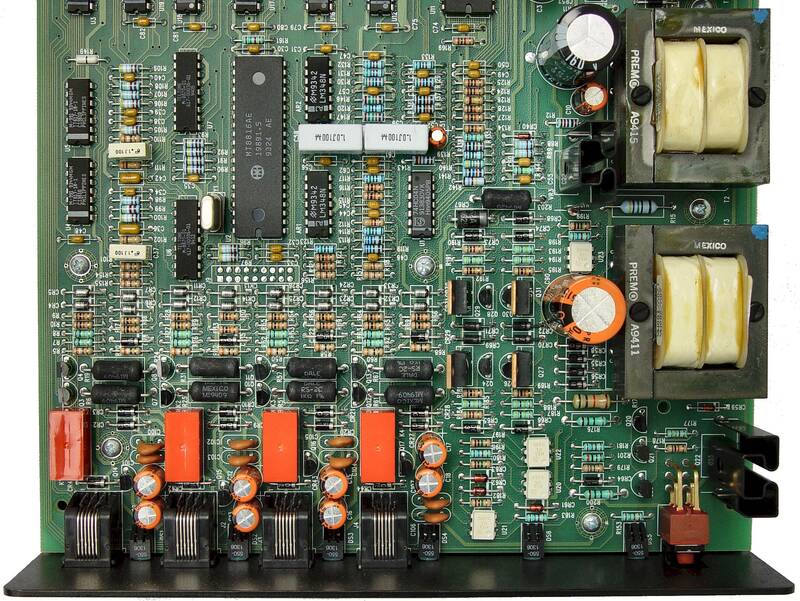 If anyone has schematics for the Teltone TLS-4 or 4A unit or plans to build a cheap hobby telephone line simulator, please write me. Thanks! The following information is provided for reference only. Please visit Mike Sandman's web site for current prices and information. 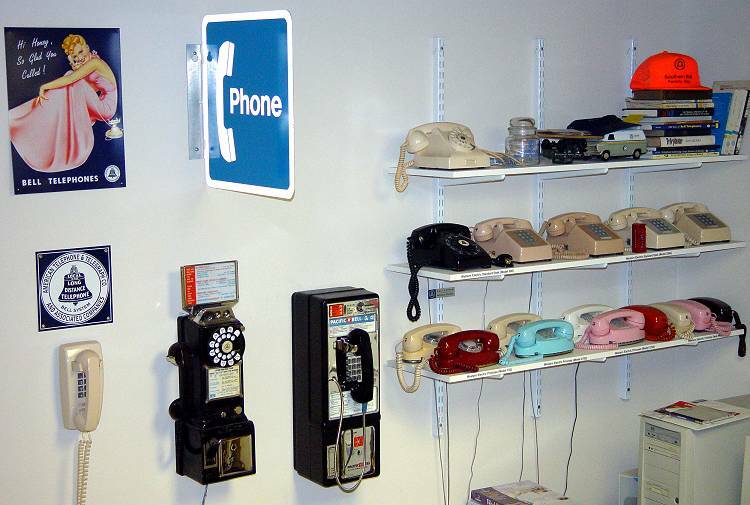 Need DIALTONE to use, and show off your great collection of dial phones? You can actually USE the phones in your collection! The PBXtra is a small, inexpensive PBX that will allow you to actually use those great looking phones! You can attach 8 Phones with their own extension numbers to the PBXtra, to call among themselves. Even more if you double up on extension numbers! Each port has around 2 REN (will ring 2 bells in standard 500 sets). If you want to call out of your house, dedicate one or more ports to outside lines. Since all 8 ports on the PBXtra are universal, they can either be extension ports or outside lines. Lines are accessed by dialing 9. You can program incoming calls to ring at any extension you choose (or all extensions). If you have 2 outside lines, you'll have 6 extension ports to use for phones. If you have 1 outside line, you'll have 7 extension ports for phones. The PBXtra can be set up to use rotary phones for both inside and outside dialing, so it's perfect for collectors! NOTE: Do NOT use the PBXtra with telephones that have a crank, and/or internal batteries. Those types of phones will probably blow up the PBXtra, but can be wired together among themselves to form a little "system." DISA feature answers an incoming call and allows caller to get dial tone, and dial an extension number (or trunk access code) when calling into the system. Optional 16 Second Announcement Chip instructs caller to dial a particular extension number, after which dial tone will be heard allowing caller to dial. DISA works fine without Announcement Chip, as long as caller knows what extension number to dial. NOTE: Allowing DISA on a system with CO line access is dangerous, since anybody can call into your system and then dial out again. RS-232 port for SMDR (Station Message Detail Recording) shows all calls made and received (the PBXtra does NOT receive Caller ID). 16 Second Announcement Chip for use with PBXtra DISA Option. Use to Instruct caller to dial a particular extension number (or Trunk access code), after which dial tone is heard allowing user to dial. DISA works fine without Announcement Chip, as long as the caller knows what extension number to dial. A 'Dumb Switch' is a system that does absolutely nothing, unless you tell it to. You have to tell the system to provide dial tone, ringing, ring back, battery, close relays to connect CO lines to stations, and EVERYTHING ELSE! It will do NOTHING unless you tell it to do something, very specifically. 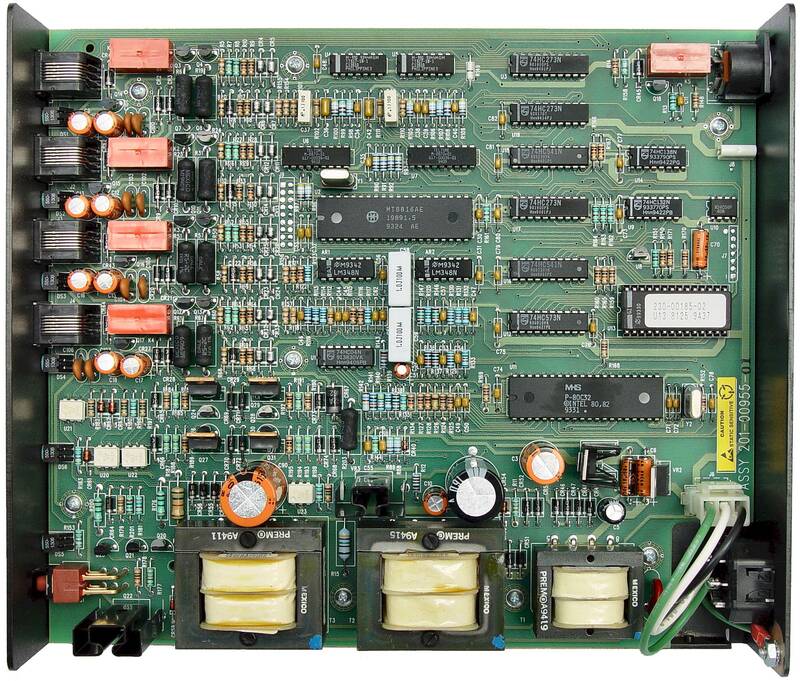 You can actually design your own phone system, to do just about anything! Take out the ROM in the PBXtra, put this ROM in, and control the PBXtra in real time from a PC through the serial port. Includes special software that you'll have to learn, to control the system. This requires a very experienced programmer, and a ton of time screwing around with it.